Since 2010, Fauna and Flora International has been providing capacity building assistance to ADEPT. This has had a profound impact on ADEPT’s long term viability and strategic planning. FFI has brought about improvements in governance and staff management, and in ADEPT’s strategic planning, setting of priorities. ADEPT now understands better what its role can and should be in the dynamic world of community-based nature conservation: and understands better how to carry out this role in a way that is internally and externally sustainable. Since 2009 Fauna & Flora International has been assisting ADEPT in conservation of the Tarnava Mare area, with technical assistance and with funding. In 2013 FFI began a major partnership with ADEPT, under which it will help ADEPT develop its role further in protecting the High Nature Value Farmed landsapes of Transylvania. FFI has always carried out biodiversity conservation on the principle that landscape-scale projects will only be successful and sustainable if they give benefits to local people who live within the landscapes – and who have helped to create them. This pronciple clearly applies strongly to the Tarnava Mare area in Transylvania. FFI’s interest in Trnava Mare is recognition of the global importance of the area. The Tarnava Mare grasslands are at the heart of the best-preserved large-scale High Nature Value lowland farmed landscape in Europe, in Transylvania, and have some of the highest plant diversity ever recorded in the world. 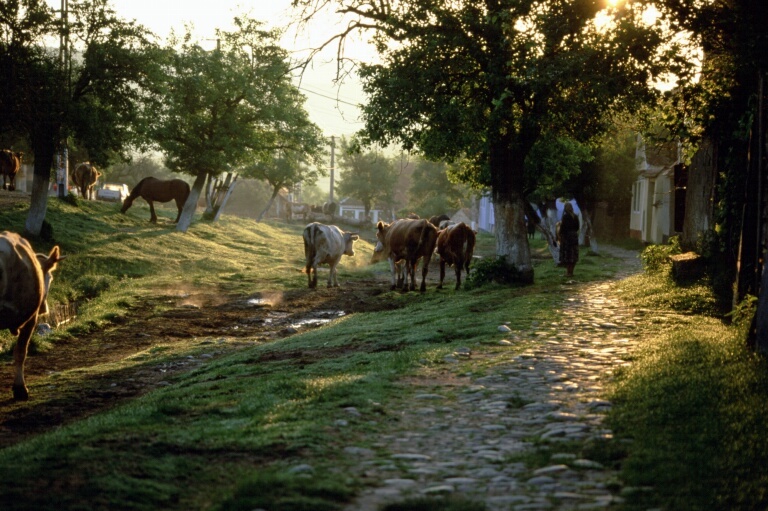 In 2009 the Arcadia Fund provided a grant to the FFI Eurasia team, to support ADEPT in its range of activities to conserve the Tarnava Mare landscape. improved actions to address immediate and chronic threats to key biodiversity features. In 2012, FFI funded a Masters Degree in Conservation Management at Cambridge University for an ADEPT staff member, Lenke Balint, actually one of ADEPT's UK Trustees. After over 4 years cooperation, in 2013, FFI and ADEPT entered into a strategic partnership which will strengthen the protection of European High Nature Value Farmed landscapes, not only in Tarnava Mare area, but also more broadly in Romania and in Europe. FFI is conserving the planet’s threatened species and ecosystems – with the people and communities who depend on them. For more details see www.fauna-flora.org.